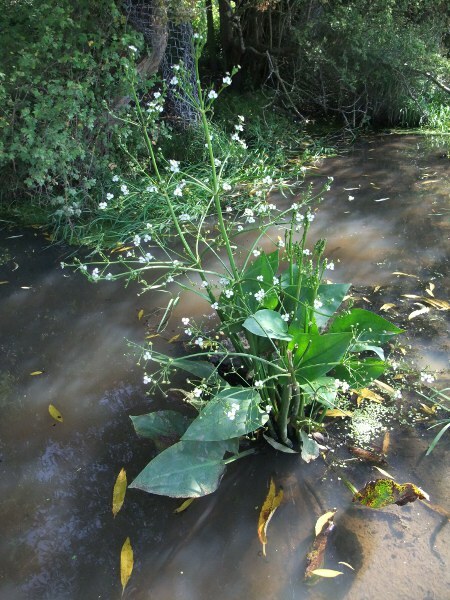 Alisma plantago-aquatica grows in shallow standing water across temperate parts of the Northern Hemisphere. 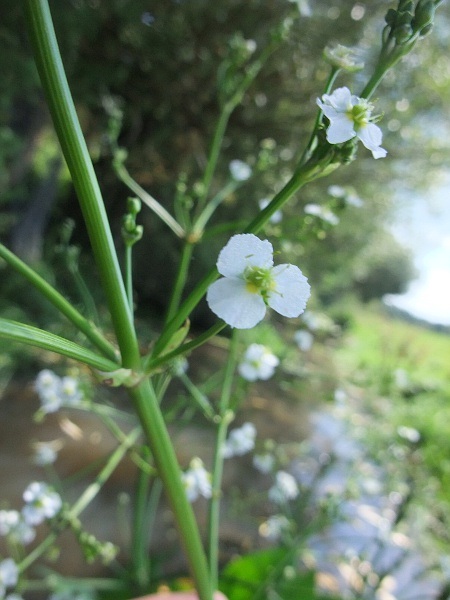 The flowers of Alisma plantago-aquatica are bisexual (unlike those of Sagittaria), with 3 sepals, 3 petals and 6 stamens. 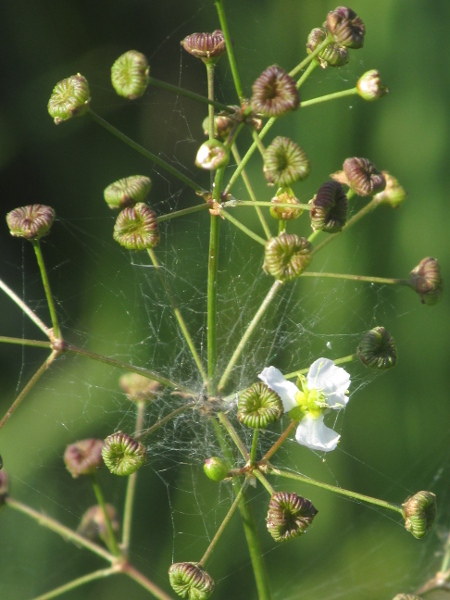 In Alisma plantago-aquatica, the carpels are arranged in a single ring, as reflected in the arrangement of the mature achenes.